What’s new in Parry Sound this week? Well it’s snowing – again – still. Returning from a week in Victoria where the trees are beginning to flower and the primroses are out, it was quite amazing to drive up the 400 through this winter wonderland. It actually seems hard to believe it will ever change and that spring will come as much as we know it will happen – eventually. Many of us have read Philippa Gregory’s historical fiction for adults, but she is also writing a series for teens that have been very well received. The third in the Order of Darkness series, Fool’s Gold, has just been published and will lead young readers into Venice for the carnival in 1454 – the combination of romance and historical fiction has captivated teenage girls. This may be the winter we all decide a week on the beach is a real necessity! For anyone planning a trip to Cuba – think about picking up a couple of mystery novels by Canadian Peggy Blair. 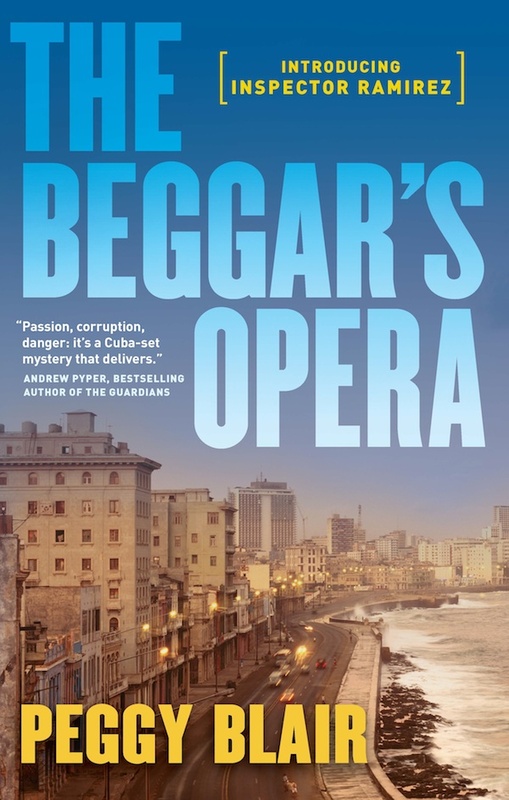 The series begins with The Beggar’s Opera set in Old Havana and featuring a Canadian detective and a Cuban police Inspector. Followed by The Poisoned Pawn, where we find our Cuban policeman making a trip to Canada to pursue an investigation. We also have autographed copies of the most recent Ian Rankin mystery Saints of the Shadow Bible –with Malcolm Fox and John Rebus working with Siobhan Clarke – an all star team and a brilliant new novel. The Guts by Roddy Doyle – Jimmy Rabbitte is back, older, but still a hustler, loving his music – If you were old enough to read The Commitments way back in 1987, maybe it’s time to re-read TheCommitments and carry right along into The Guts – we were all so much younger then, and so much older now. The Bear by Claire Cameron has been getting a fair amount of press. A bear attack in Algonquin Park that leaves two young children striving to survive. Sounds like too much for me (think Room) but it seems to be getting rave reviews. The Woman Upstairsby Claire Messud. From the author of The Emperor’s Children and Last Life – two books I loved. This one has been on my to-read pile in hardcover for a year after getting great reviews last year.